A favorite gift adored by all! 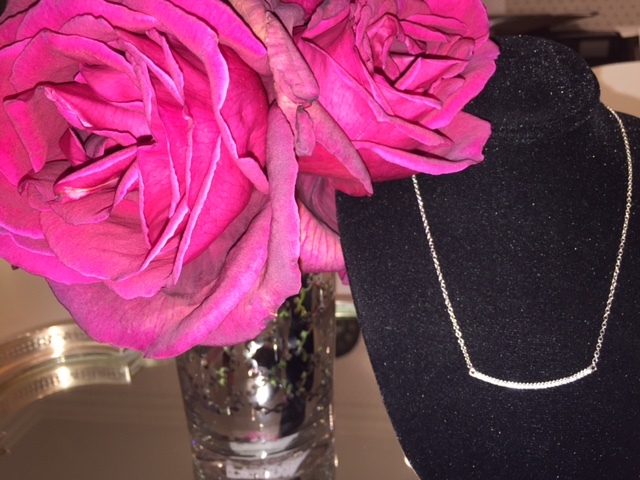 This gorgeous 925 silver chain necklace and modern- bar pendant is a “must have” for every Bride and Bridesmaid! Delicate in scale but dramatic in sparkle, this necklace is a gift they will wear and treasure forever. 1 ¾” bar with 31 highest quality CZ stones with glamorous sparkle. Exclusive to Linda Howard Events. Sold at $175.00 + $5 shipping $150/ each for an order of 3 or more. Shipped in a black velvet box for an additional $3.00.